A fireplace is a great focal point for any room. Our fireplaces are hand carved from natural stone and are built to last a lifetime. If you dont see what you like on our store page, we can help you create a custom designed fireplace perfect for your home. To begin the fireplace design process, we explore the style of your home to get a feel for your design taste. Pull inspiration from images of fireplace designs you like or sketch a simple design. Please feel free to pull images from our Pinterest page for inspiration. The photo or sketch of your design inspiration also helps us understand your taste to design a fireplace you will love. We suggest matching your fireplace design to the existing style of your home during a remodel, or matching the home style to your fireplace design with a new construction project. The next step is to determine your budget. Your budget will determine the types of stones used for your fireplace. 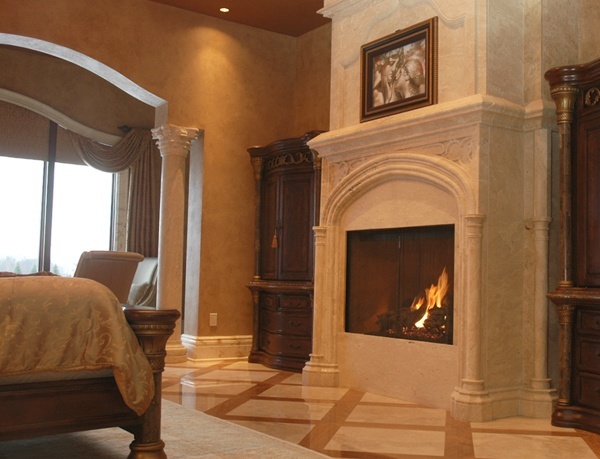 Fireplaces can be carved from marble, granite, sandstone or travertine. The type of stone you choose also determines how long it will take for the fireplace to be delivered. If you need to have your fireplace delivered within a certain time frame, we will help you find stone types readily available. 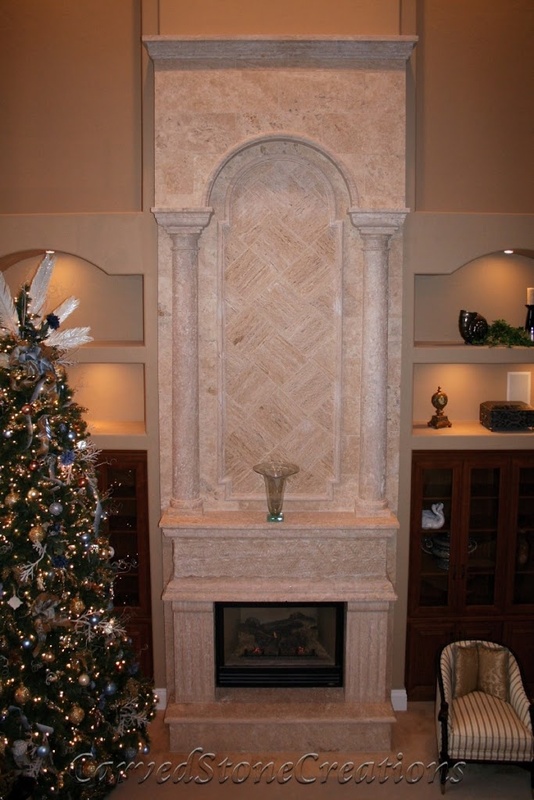 We specialize in adding intricate carved details into the fireplace design as well. Let us know what carved accents you would like included in the design during the planning phase. We can also add overmantel pieces to create a tall, grand fireplace design. We use 3D modeling software to bring your ideas to life. The software helps us incorporate the design elements into the fireplace. It also ensures the fireplace will fit perfectly in your home. Once the 3D design is done, the fireplace is handcarved by artisans. Fireplace design options are endless. Let us help you design your dream fireplace. Contact us to get started.